Tubbataha Reef in Sulu Sea, Philippines is home of some of the world’s most beautiful coral reef and richest marine life. It was declared Unesco World Heritage site and nominated as one of the 7 Wonders of Nature. And to avid scuba divers like myself, this is the ultimate dream dive! 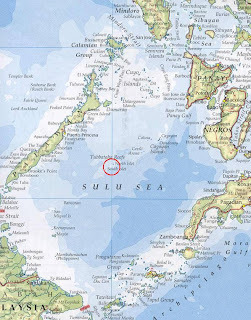 A protected marine sanctuary, Tubbataha Reef National Park only allows diving from March to June. It is said that it was even more spectacular before the devastation in the 80’s by greedy fishermen and dynamite fishing. Luckily, with the intervention of environmentalists and government (? ), it’s coming back to life. Two years into diving and completing my gears, I felt it was time for me answer the diving Tubbataha calling. Together with my fellow dive addict friends, we booked a whole boat from Expedition Fleet for this year’s open season. And it’s happening very, very soon!